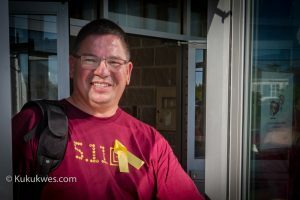 Stuart Knockwood joined the RCMP in the mid-1990s because he wanted to do something about the high rates of suicides in First Nation communities. 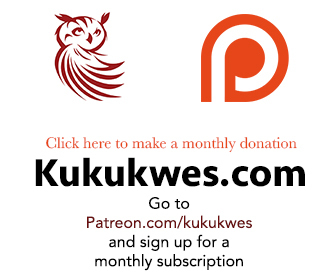 In particular, Knockwood, was upset and angry that two of his friends took their own lives when he was a teenager growing up in Indian Brook First Nation, N.S. in the 1980s. He recalled finding one of them in a field behind a house while on a bottle drive one morning. “Why is my community so depressed?” Knockwood, 47, recalled asking himself when his friends committed suicide. “My first step was actually standing up against it and saying, ‘Know what? I’m fed up,’” he said. “I was standing up and saying, ‘You know what? I can’t let this continue,’” Knockwood added. Once he enrolled in the RCMP, he signed up for training opportunities in suicide prevention such as the employee assistance program so he could use those skills while policing First Nation communities. “Unfortunately, when you come back to your own community, we were using it on a regular basis,” he said. 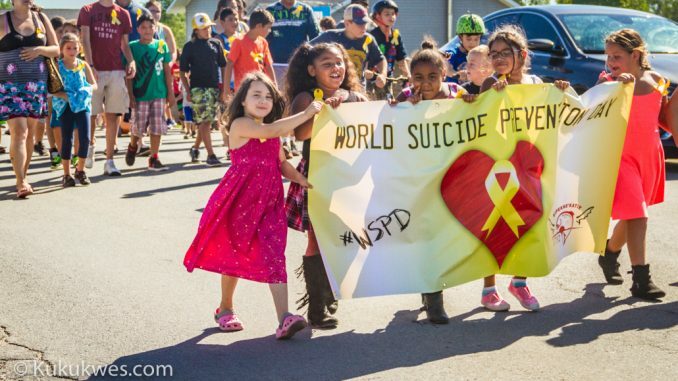 Knockwood, who is currently a constable working out of the Millbrook First Nation RCMP detachment, shared his story with more than 100 people who took part in a suicide prevention march in Indian Brook First Nation on September 10 to mark World Suicide Prevention Day. The group, made up mostly of children and youth, gathered in front of the Sipekne’katik Health Centre Saturday afternoon while several students at the L’nu Sipuk Kina’muokoum or LSK School sang the Mi’kmaw honour song to drumming. The group marched then through the community’s cemetery to say a prayer for loved ones who took their own lives before walking to the multipurpose centre to hear Knockwood’s presentation. 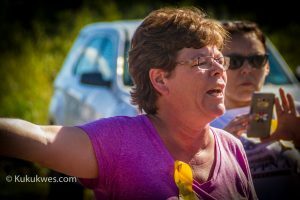 Tina Sack-Nevin, the mental wellness coordinator for the Sipekne’katik Band, helped organized the march to raise awareness about suicides in communities like Indian Brook. “Being the mental wellness coordinator and working with my mental health and addictions team, we’re the front line workers that get a lot of calls throughout the weekends and evenings,” Sack-Nevin said. During his presentation, Knockwood talked about suicide prevention and what people can do to support a friend or relative who may be at risk to commit suicide. “When a person is having that thought or that anxiety or that extra stress, they’re racing horses with blinders,” Knockwood explained. “Everything shuts down,” he said. “(They need to find) that friend, that professional, anyone who you can actually say, ‘Listen, I need help. I need time. I need non-judgemental time. (It’s) someone who is not going to judge me, someone who is not going to belittle me or someone who is not going to spread around about my personal feeling,’” Knockwood said. Knockwood noted that more people who attempt suicide these days are getting help sooner compared to the 1980s. “We’re fortunate that those cries, those invitations for help weren’t unseen. They were actually seen and brought to services,” he said. With more people, especially young people, using online social media, Knockwood said he and his fellow police officers are able to intervene before someone tries to commit suicide. Knockwood is hopeful that the children who took part in the suicide prevention march on Saturday will recall what he did to help prevent suicides when they become teenagers.